DIFFERENT APPROACH: The peacebuilding policies and operations of the rising powers in the global South reflect commonalities that distinguish them from traditional donors, researchers find in their new book. The entry of the rising powers into the peacebuilding field are likely to have significant implications for how the UN and other international and regional organisations, as well as both the traditional donors and the recipient countries view peacebuilding in the future. Their entry may fundamentally alter how we understand and undertake peacebuilding a decade or more from now. 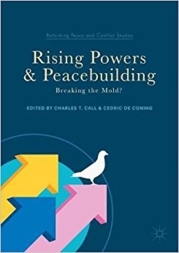 With our recently published book Rising Powers and Peacebuilding: Breaking the mold (published open access by Palgrave McMillan), we seek to answer the following central question: What exactly is new and innovative about the peacebuilding approach of the rising powers from the Global South, and what are the implications of these new approaches for peacebuilding? Over the last decade several setbacks in places like Burundi, Libya, South Sudan and Yemen, to name a few, have significantly eroded the prominence that peacebuilding enjoyed in the international system. The failure of peacebuilding to deliver sustained peace has combined with a push from rising powers against Western dominance, to produce a turn to the Global South as a source for more legitimate and effective responses to mass organized violence in the world. Onto this stage new actors like the BRICS (Brazil, Russia, India, China and South Africa) and several other prominent regional powers in the Global South, like Indonesia and Turkey, have emerged as new ‘donors’ that advance their own political and technical approaches to peacebuilding. In our book we studied the policies of Brazil, India, Indonesia, South Africa and Turkey, and especially the roles they play in Afghanistan, Myanmar and Somalia. We found that these rising powers share a number of approaches, but note that they also diverge in several areas. The peacebuilding policies and operations of these rising powers reflect commonalities that distinguish them from traditional donors. They have a more holistic operational approach that draws on multiple ministries, including technical advisors from agriculture, health and education sectors. They have a longer time horizon and strong emphasis on national ownership, often interpreted to mean governmental consent, than Western approaches. Their heightened sensitivity to sovereignty and a lack of immediate conditionalities on their peacebuilding cooperation, even when that cooperation advances strategic and economic interests, reflect their post-colonial trajectories and South-South solidarity. One of the key findings of the book is that the way rising powers understand and apply the concept of peacebuilding diverges in clear ways from how the concept is used by traditional donors and the UN System. For the traditional donors, the need, from an OECD perspective, to differentiate between funds spent on peacebuilding vs. development played an important role in conceptualizing what peacebuilding is. The bureaucracies of the rising powers do not have the same need to distinguish peacebuilding from development, mediation, or other categories of support, since they are not subject to the OECD’s Development Assistance Committee regulations. In contrast, rising powers are incentivized to keep the concept vague and flexible, partly to avoid battles over turf and resources among ministries and departments. The UN’s new concept of sustaining peace seems to fit well with the rising powers’ approach that tends to be quite comprehensive and holistic, i.e. inclusive of political, security, peace, justice, development and economic elements. The differences in world view, and theories of change between the rising powers and traditional donors may partly explain why their understanding and approaches to peacebuilding diverge. The traditional-donor approach to peacebuilding is typically aimed at trying to change the behavior of a political system by introducing incentives that encourage greater political pluralism and political freedoms. Their theory of change is that greater political access and participation will lead to greater social stability, which will be conducive to development and economic prosperity. For the rising powers politics, development and stability are closely interlinked, with political complexity emerging in-step with advances in development. Their experience suggests that the level of political competition that a society can manage peacefully is closely linked to the complexity of its social institutions, and thus its level of development. To ensure stability, political activity needs to be governed to stay within manageable levels, and the focus for social change should be on social and economic development. 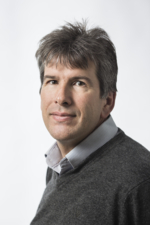 They argue that over time developmental progress enables a social system to become more political complex, and this enables a society to develop the social institutions needed to manage political competition within society. This is why the peacebuilding approach of rising powers tend to focus on the development of state institutions and why they tend to focus on socio-economic development. These differences in their respective theories of change may help to explain why the rising powers and traditional donors have different approaches when it comes to, for instance, differentiating between peacebuilding and development, measuring results or working with civil society. It is possible that some convergence will occur as traditional donors choose to accommodate longer timelines, less conditionality, and more deference to national ownership. 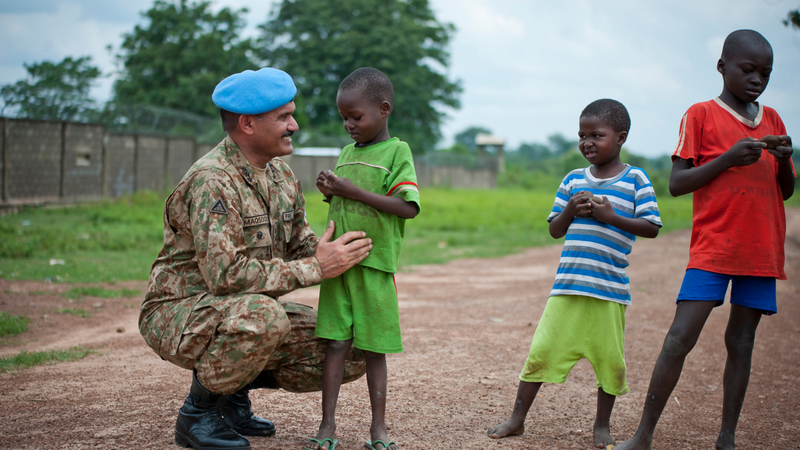 It is also possible that rising powers will adopt more results-based and shorter-term approaches to peacebuilding. We find that the rising powers have influenced the discourse and practices of peacebuilding, especially at the United Nations, but have not transformed them. Whilst recent setbacks raise doubts about whether rising powers will sustain their recent influential role in peacebuilding, our research suggest that the overall trend is that the broadly coherent set of principles and rationales that these rising powers have generated over the past decades, are likely to continue to influence how traditional donors, the United Nations, regional organizations and non-governmental organizations approach peacebuilding in important ways in the coming years.